Teddy Thomas enjoyed a dream Test debut for France with a hat-trick of tries in Saturday's 40-15 victory over Fiji in Marseille. The Racing Metro wing, 21, struck from the opening kick-off to give France the perfect start and then added two more tries in the space of three second-half minutes as Philippe Saint-Andre's men got back to winning ways following their miserable summer tour to Australia. Pascal Pape and Wesley Fofana added two more tries for Les Bleus in the closing stages while the rest of their points came from the boots of Camille Lopez (two conversions and three penalties) and replacement Rory Kockott (one conversion). Fiji, who had not beaten France in any of their previous eight meetings but had defeated Italy and Tonga in June, replied with two second-half tries of their own through Watisoni Votu and Napolioni Nalaga, while Nemani Nadolo slotted over one conversion and a penalty. 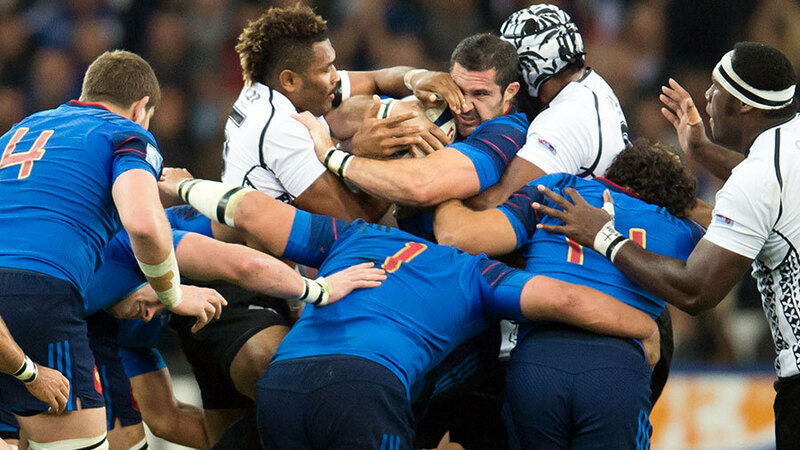 At one point Fiji had cut France's 14-0 half-time lead back to just six points, but they never seriously threatened an upset at the Stade Velodrome. Les Bleus will now hope to gain revenge against the Wallabies next weekend at the Stade de France having lost all three Tests to the southern hemisphere giants Down Under in June.